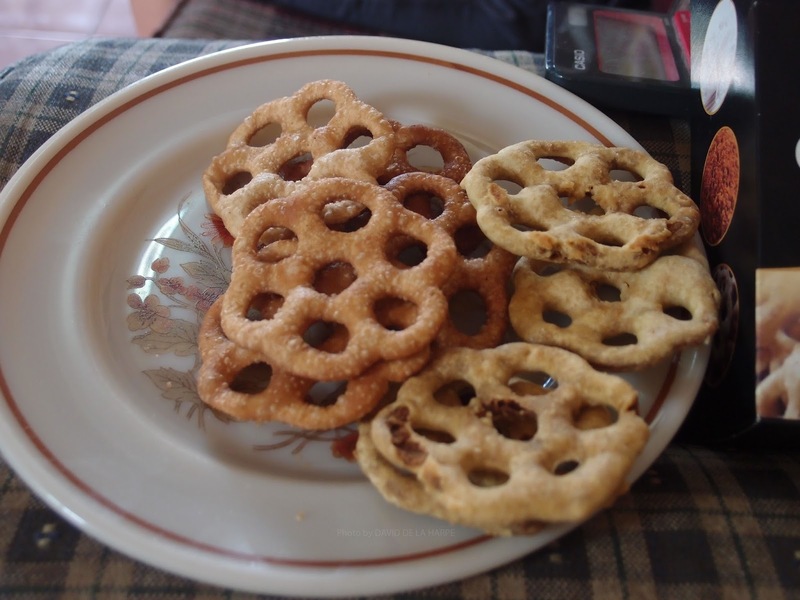 Kuih Cincin or “ring cookies“ in English, is a popular snack found in Sabah. It is easily bought in many sundry shops, stalls at the Gaya street market and also the Handicraft market in Kota Kinabalu. It is a delicacy of Bruneian Origin and usually made by the descendants of Bruneian Malay people in Sabah. Sabah was at one time part of the Sultanate of Brunei (from at least the 15th century till the 18 hundreds). During that time many people from Brunei migrated to areas in Sabah and have lived here ever since then. Today the majority of these people live in the areas around the Brunei Bay areas, like in the towns of Sipitang and Weston. However they are also many of them in the town of Papar. It is at one such village in Papar called Kg. Melugus that they are very active in making these cookies. The owner of a small processing factory is Hajjah Aini. Currently she has the only factory that makes these “kuih Cincin“ in Sabah. Surprisingly Hajjah Aini is not of Bruneian descent but she is a Bajau from the district of Semporna in Sabah but is married to a retired officer of the Education department of Sabah, who is of Bruneian descent from Kg. Melugus in Papar. She met her husband when he was a teacher posted to a school in Semporna. Eventually the family moved back to his ancestral home in papar, and here she learnt the art of making “kuih cincin” from her mother in-law. She started selling these cookies at the local “tamu” or market in Papar. Hajjah Aini joined various Government and marketing agencies to promote her cookies and they are now sold in places like Kuala Lumpur, Singapore and even Brunei. 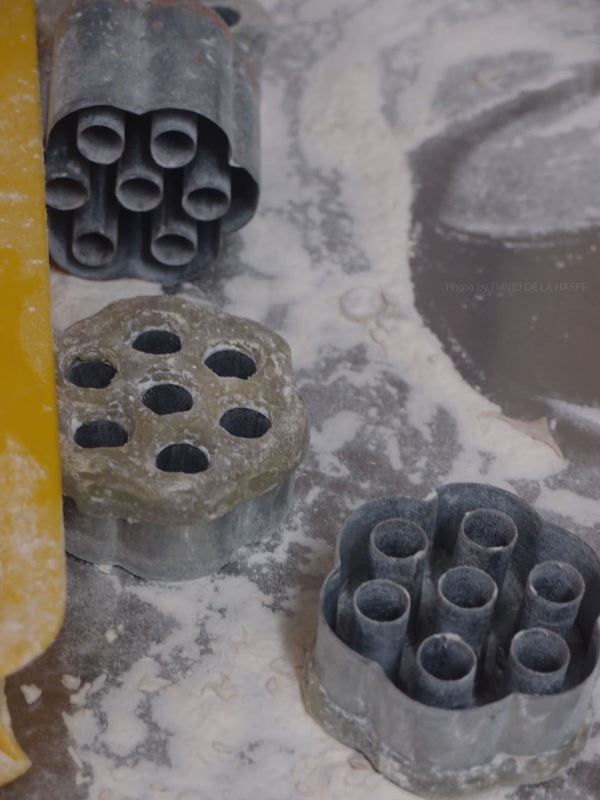 In her early days everything had to be done traditionally by hand and it was her husband, who being an ex-vocational teacher, decided to convert an old rubber sheet roller into a machine which could roll out the dough for her. From this early start and with help from her 4 daughters and other relative’s in-law, she decided to go into the business of manufacturing “kuih cincin” on a full time basis. Starting with her own capital of Rm2000.00 in 1999 she has now built up her home based factory which currently employs between ten to thirteen workers depending on the season. Kuih cincin is made out of a base of wheat flour, cane sugar, brown sugar vegetable oil and Nipah palm sugar. It is from this Nipah palm sugar syrup that the cookies get its chewy texture and characteristic flavor. Once the dough is rolled and the shape cut out, it is fried before being dipped into a paste of rice flour and water and fried again to give it its crispy texture. A visit to the home based factory at kampong Melugus in Papar is warmly welcomed. These “kuih cincin” or Ring cookies can be purchased in pretty packaging and are great gifts to be brought home by visiting tourists to Sabah.